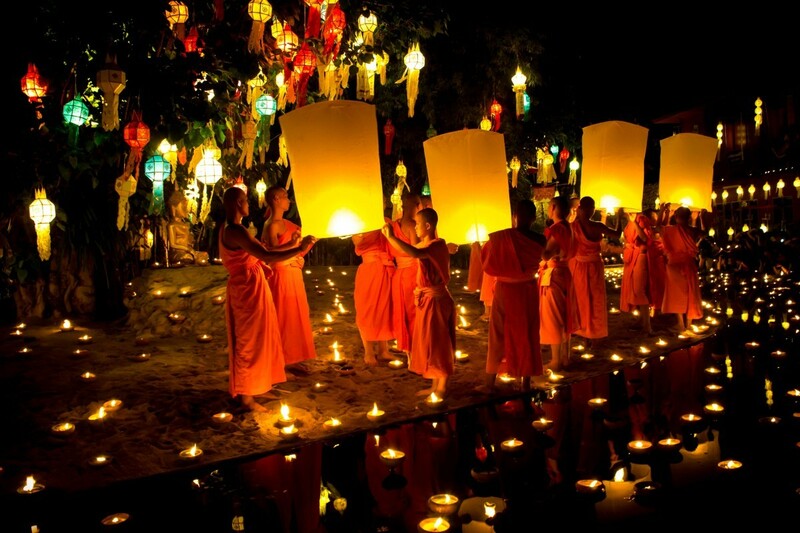 For pleasure-seekers on a budget, the best things to do in Thailand make this country a paradise on earth. The promise of daily massages, Michelin-starred street food, top-notch nightlife, island-hopping on a whim and top-notch hospitality is all within reach, and just as alluring as the natural beauty (think white sand beaches, hidden waterfalls, lush rainforests, forested mountains and exotic wildlife) and rich culture, from all kinds of festivals and markets to gold-tipped Buddhist temples, Angkor Wat-like ruins and contemporary art. 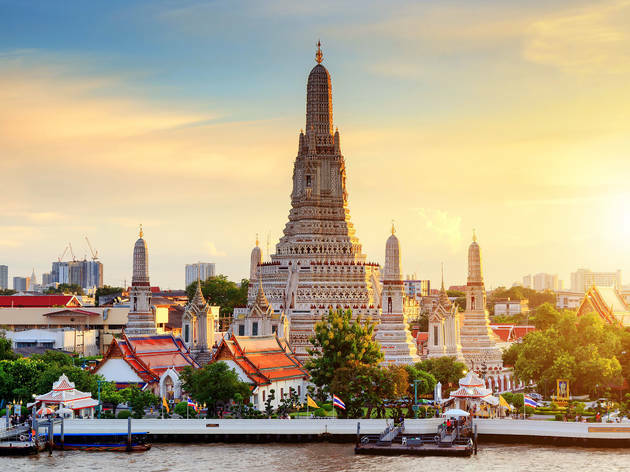 Consequently, it’s no surprise that Southeast Asia’s most visited country—home to the most visited city in the world (Bangkok saw 21.98 million foreigners in 2018), suffers from over-tourism. But don’t fret: there are plenty of ways to experience Thailand like a local, away from big group tours—and even tourists! You just have to know where to go (like Issan, the least developed region in the country)—and which bucket-list items are worth it. What is it? 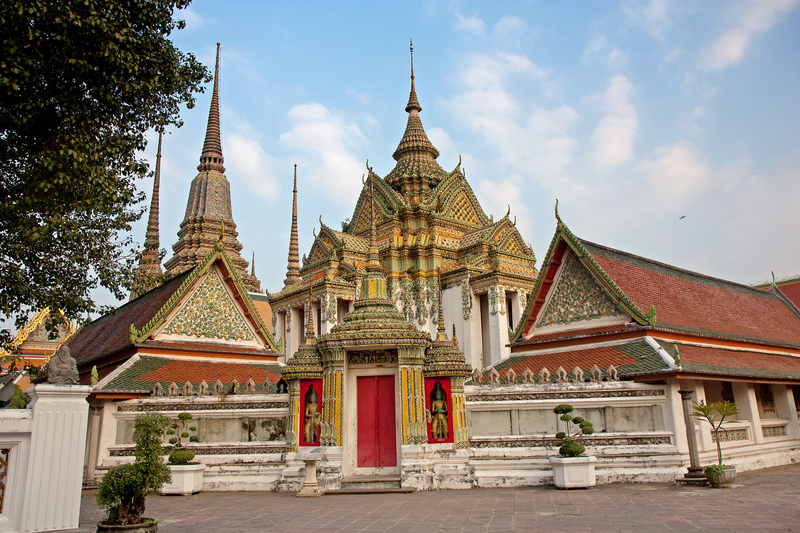 A sprawling and serene Buddhist temple complex in Bangkok’s historic district (Rattanakosin) whose gilded, mega-long reclining Buddha leaves tourists and pilgrims in awe. Why go? Beyond being Bangkok’s oldest and largest temple complex with more than a thousand stupas, the otherworldly Wat Phra Chetuphon, commonly known as Wat Pho, has the largest collection of Buddhist images in Thailand, including its 150-foot long reclining Buddha (the world’s biggest), and is the earliest center for public education. At the top of many must-see lists, it doesn’t disappoint. 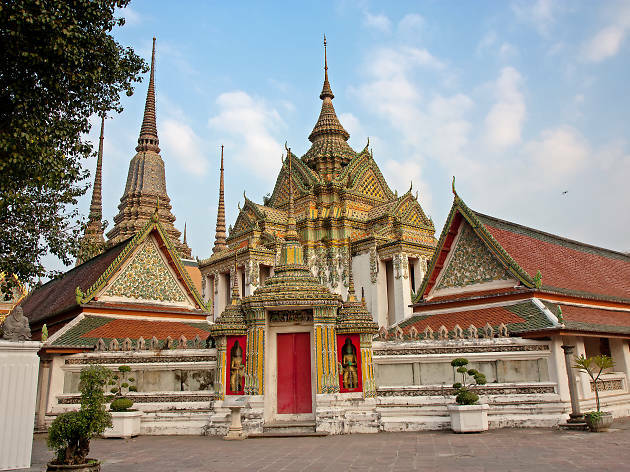 Time Out tip: Upon arrival, head directly to the pavilion where Wat Pho’s Traditional Thai Massage School is situated and sign up for a foot or body massage as there’s usually a wait (better yet, call ahead). The school also offers week-long courses in Thai massage, which travelers can take. If you’re looking for something more private or upscale, try the local approved Health Land Spa. What is it? A rescue and rehabilitation center in northern Thailand where elephants and other animals are given a second chance, thanks to caring volunteers and visitors—and where elephant rides are a big no-no. Time Out tip: Walking with elephants along the trails is a far a better experience than riding on top of them. Gautam also recommends Boon Lott’s Elephant Sanctuary in Chiang Mai and Elephant Valley Thailand in Chiang Rai. What is it? 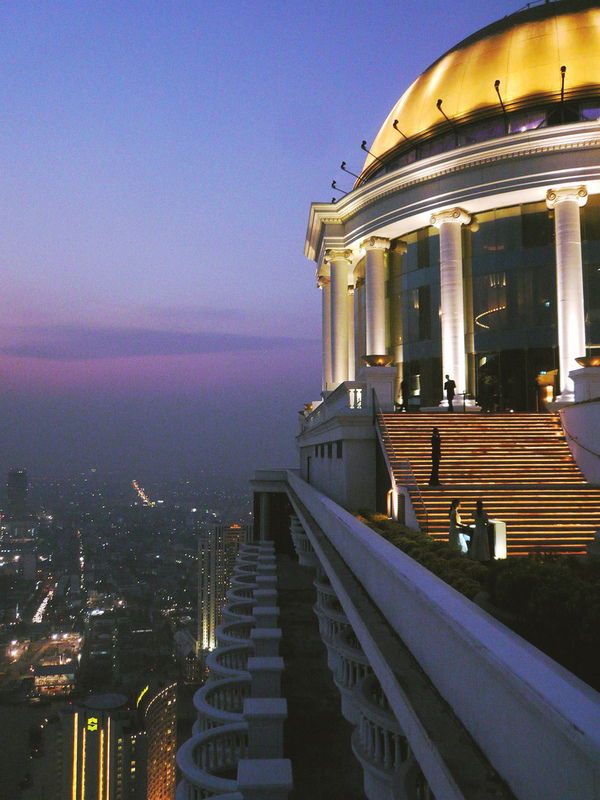 A spectacular rooftop bar on the 63rd floor of State Tower with sweeping 360-degree views of Bangkok and of “The Hangover Part 2” fame—attracting its fair share of tourists as a result. Why go? 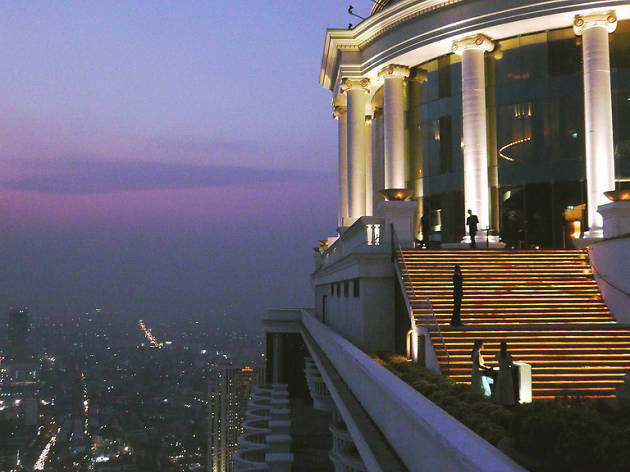 Although there’s no shortage of swanky rooftop bars in Bangkok, none have mastered the drama of infinity quite like Sky Bar, perched on a glass-floored ledge at 820-feet above the city, an endless galaxy of skyscrapers and activity. The world’s highest open-air bar is not for the faint of heart, but live outdoor music and a cocktail—or poptail? !— should put your nerves to rest. Unless you’re on a budget: Libations are, unsurprisingly, pricey, but the views are worth it—especially at sunset. What is it? 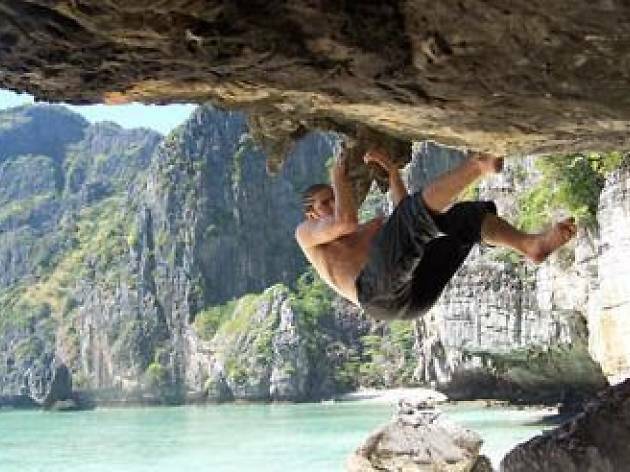 A rock-climbing school on the west coast of Thailand that offers half- to multi-day courses for climbers of all levels. Why go? Krabi’s not just for honeymooners. Take advantage of its rugged coastline by exploring the multitude of climbing routes (there are 631!) up sheer limestone cliffs, which rise above turquoise waters and white sand beaches. It’s one of the most picturesque and thrilling climbing destinations in the world. What is it? An experiential and eco-conscious arts, music and farm-to-table festival where beautiful people and ideas convene on the fields of the Siam Club in Pattaya for four days each December. Why go? 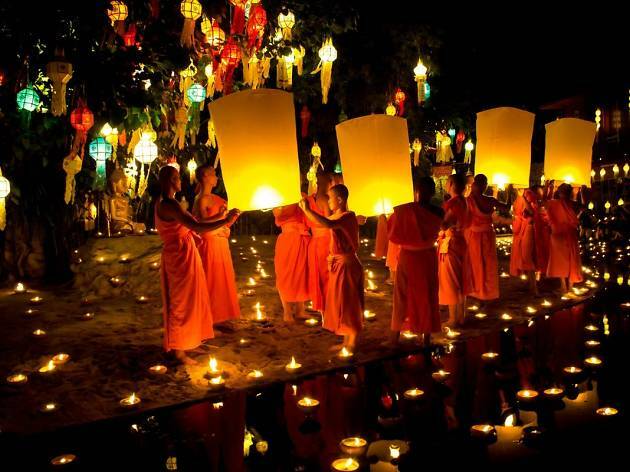 This cashless festival, featuring ethereal art installations, boutique camping, and transformational talks, is Thailand’s answer to Burning Man, and yet it’s still relatively off-the-radar for most international travelers (and burners). 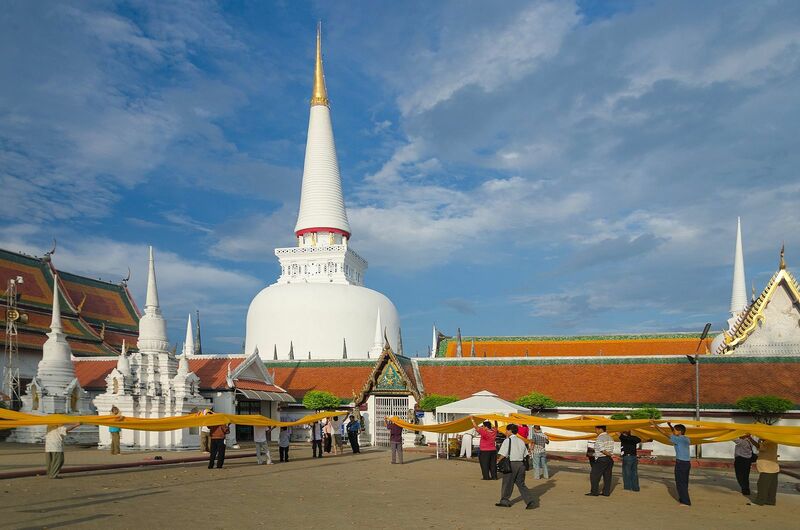 Go if you want to experience modern Thailand—and be inspired. 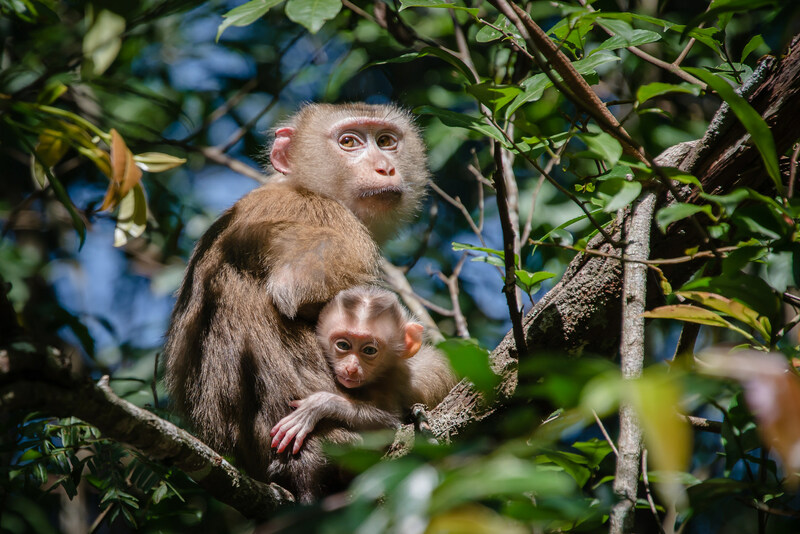 Time Out tip: Safari tents with A.C., Japanese-inspired bath house, Tokyo-style karaoke bar, techno stage, farm fresh food and interesting talks on sustainability. What is it? A peaceful and pretty moderately-sized island with some white sand beaches and hipster-ish hotels in the Gulf of Thailand bordering Cambodia, which is a gateway to Koh Kood, Koh Mak and Koh Wai. Why go? Koh Chang has fewer group tours and backpackers because the only nearby commercial airport (Trat Airport) is mainland and flights are a little pricey, comparatively. This makes for a nicer, quieter experience, and better Thai food to be found than in places like Phuket, Koh Samui and Krabi. People are also less pushy when it comes to services, and there’s less of a party scene. 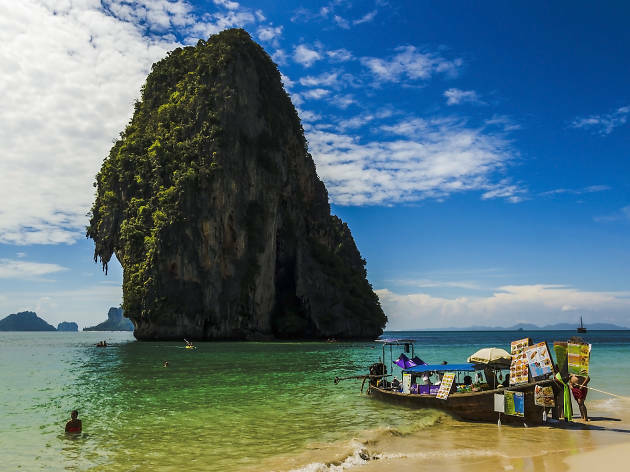 Time Out tip: Trekking to see the Khlong Neung and Khiri Phet waterfalls, or island-hopping to neighboring Koh Kood, Koh Mak, Koh Wai and the inhabited islands of Mu Koh Chang National Park by kayak, long-tail boat or speedboat—though this needs to be pre-arranged in the off-season. What is it? 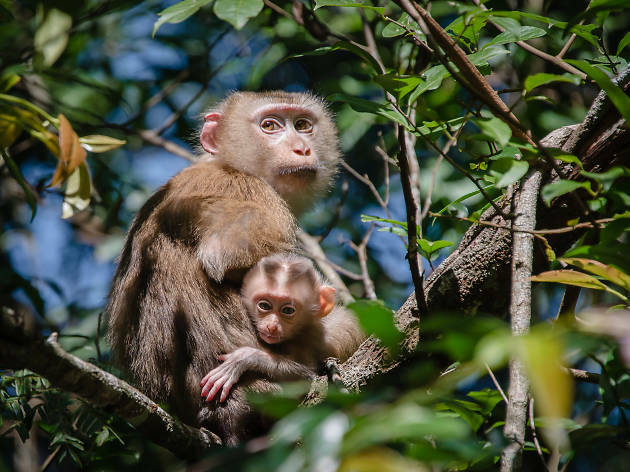 Thailand’s first national park that’s perfect for adventure-seeking, wildlife-loving, oenophiles—and only 2.5 hours away by car (or bus) from Bangkok. Why go? 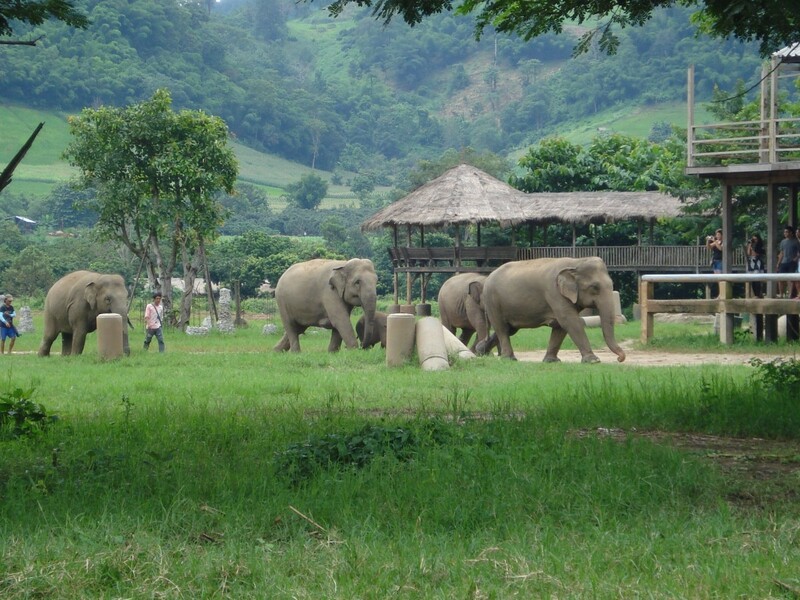 From wildlife safaris (where you can spot elephants and gibbons) to hiking trails to vineyards, there’s something for everyone at Khao Yai, a 772 square mile park established in 1962 that comprises mountainous terrain, grassland savannahs, lush, UNESCO-protected forests, and lots of hidden waterfalls, including 65-footer Haew Suwat Waterfall—Thailand’s most famous thanks to “The Beach”. There’s also a terrifying bat cave, home to three million wrinkle-lipped creatures. Time Out tip: Wine tasting at the award-winning GranMonte vineyards in Asoke Valley; staying at Mirasierra: a stunning Spanish-style hacienda with horses for arena- or trail-riding; listening to Thai rock, hip-hop and pop at the Big Mountain Music Festival in December; or exploring the nearby Wang Nam Khiao region. What is it? 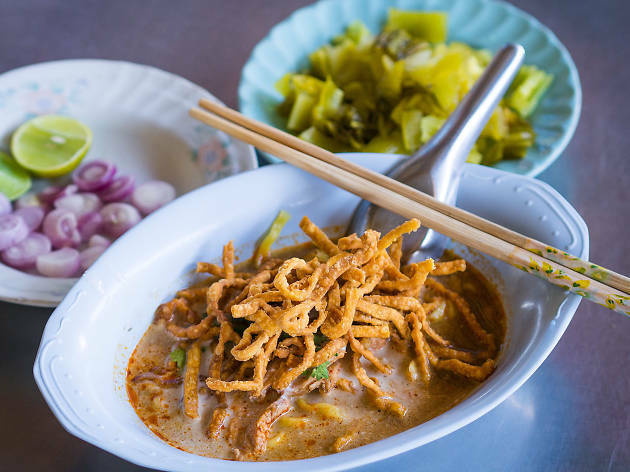 A restaurant that claims to have created the city’s famous specialty, khao soi: a coconut milk-based red curry egg noodle soup served with meat and fixings that’s seriously delish. Why go? 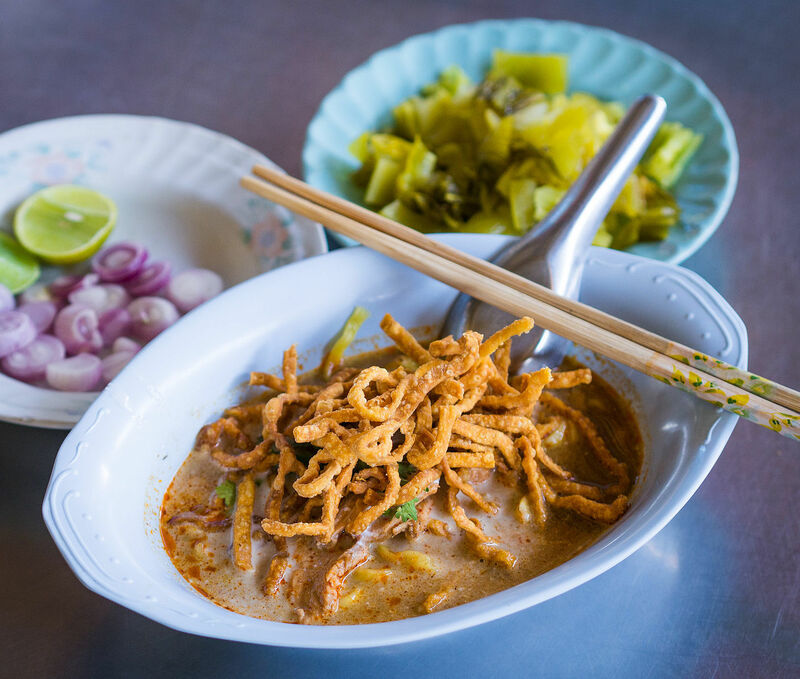 The nearly 80-year-old Khao Soi Lam Duan Fah Ham is an institution in Chiang Mai, so no trip to Chiang Mai would be complete without trying a bowl of its khao soi, whose recipe calls for a pork-and-chicken based broth. What is it? 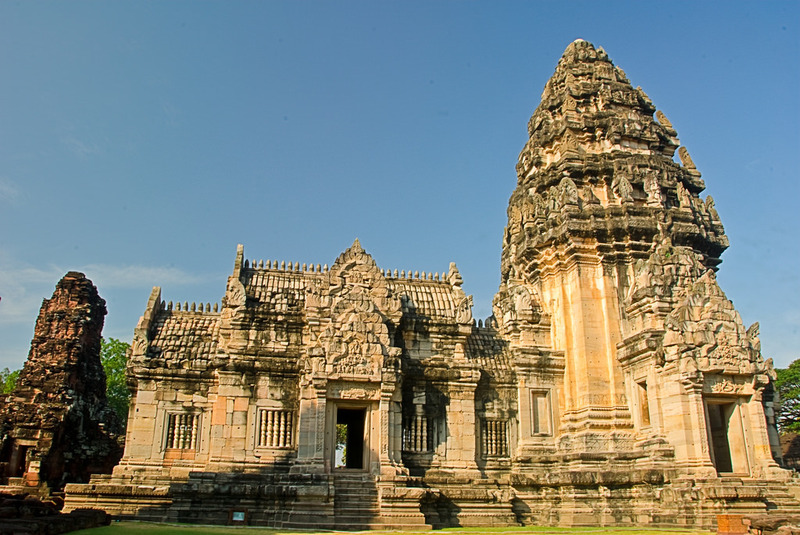 One of Thailand’s largest and oldest Khmer temple complexes, dating back to the 12th century, which is located in Nakhon Ratchasima province in northeastern Thailand. Why go? It’s like visiting Angkor Wat without all the tourists (and on a smaller scale). 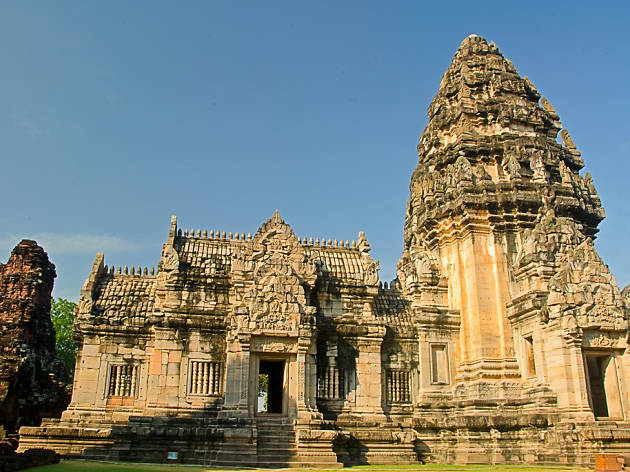 Few are aware that some of the greatest Khmer temples are actually in Thailand, but northeastern Thailand was once ruled by the Khmer. In fact, Prisat Hin Phimai was supposedly connected with Angkor by an ancient highway, and is oriented to face Angkor as its cardinal direction. What is it? 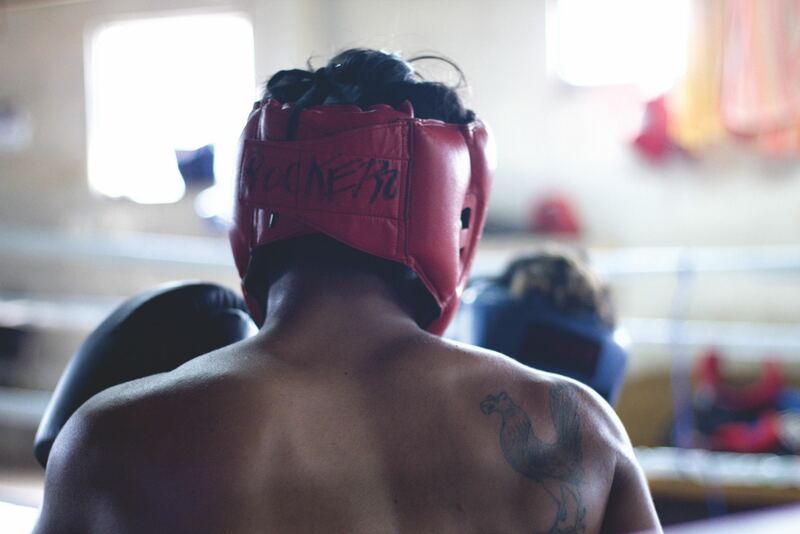 An outdoor gym with a “Bloodsport” feel in Bangkok where novice and pro Thai boxers, using “eight limbs”, pummel and puff. Why go? 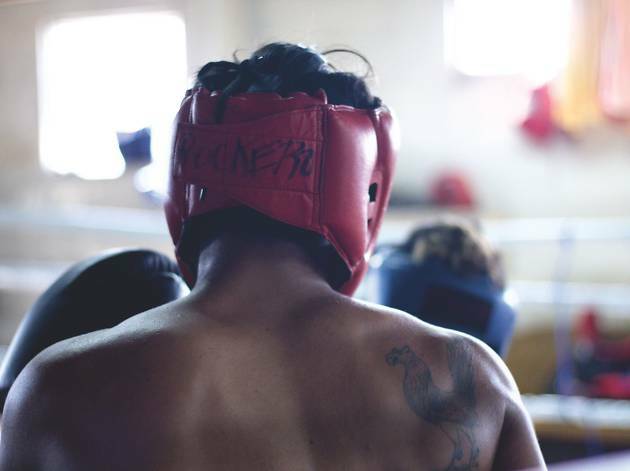 Instead of watching a live Muay Thai fight alongside tourists, get a taste of what it’s like to be a real Thai fighter at Chakrit Muay Thai School, beloved by locals and expats. A one-on-one, 60-min session in the country’s national sport is just 800 baht (or $25 US)—a steal compared to what you’d pay in the US. Not to mention, it’s a great way to sweat out those Singhas. 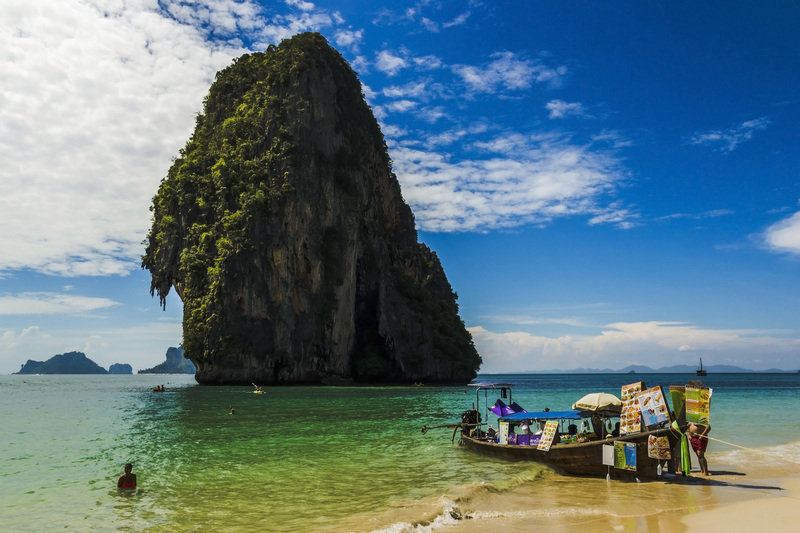 Time Out tip: If you’re looking for a way to live in Thailand, the school sponsors student visas, which require attending at least two classes per week for up to one year. Time Out tip: If you want an “unmatched” experience (no pun intended), time your visit with Songkran, Thai New Year, which takes place in April. 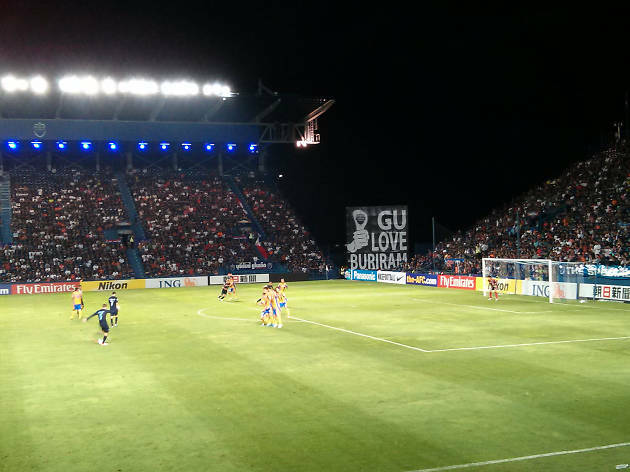 This past year, Buriram United F.C. hosted a wild, 2-day celebration featuring concerts and water fights that was attended by half a million fans. What is it? 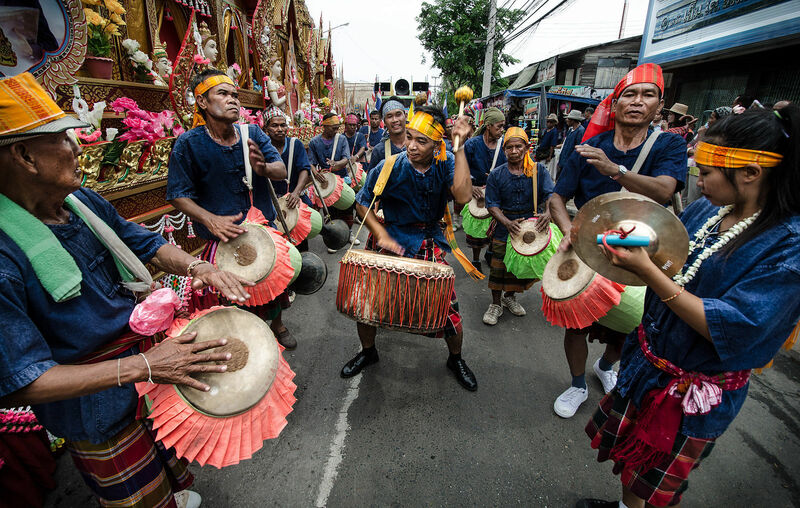 A 95-member, multicultural symphony orchestra in Salaya whose performances of classical, contemporary, and traditional Thai works attract a loyal following in country. Why go? 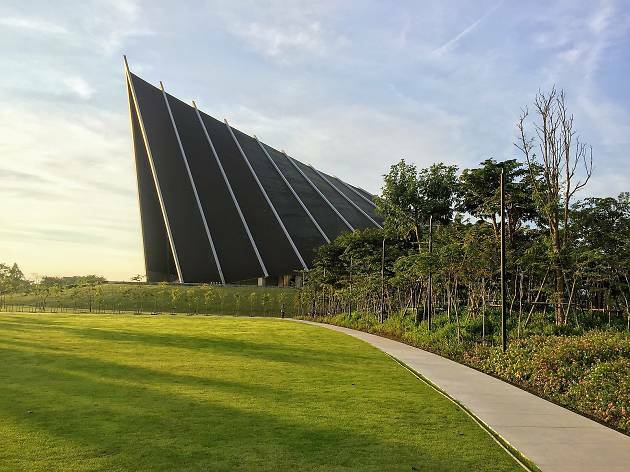 Heading into its 14th season, this world-class orchestra performs more than 70 concerts a year in the stunning Prince Mahidol Hall—one of Asia’s most advanced concert halls, which from above was designed to look like a Kan-phai flower, the symbol of Mahidol University. The venue often hosts international-renowned symphony orchestras as well. What is it? Evolving from a pre-Buddhist fertility rite, this rocket festival worships the god of rain before rice planting season and is celebrated across Issan, typically in May coinciding with the full moon. Why go? A fire-rocket party is something you’d expect to take place in North Korea rather than the Land of Smiles. Yet Thais are all about it. Celebrations last three to four days and include folk music, floats, and dancing—and of course a “friendly” competition, where huge, handmade gunpowder-filled rockets are launched high into the sky. Attendees place bets on the winner (even though gambling is illegal). 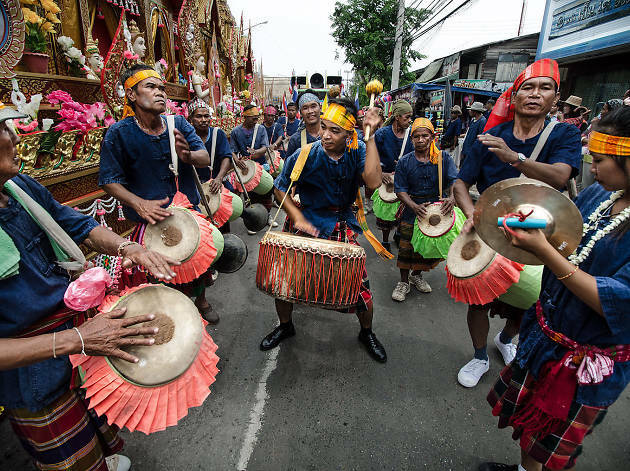 Time Out tip: While the rocket festival in Yasothon is the biggest and most famous, the festival in neighboring Roi Et is nearly just as big and feels very local. What is it? 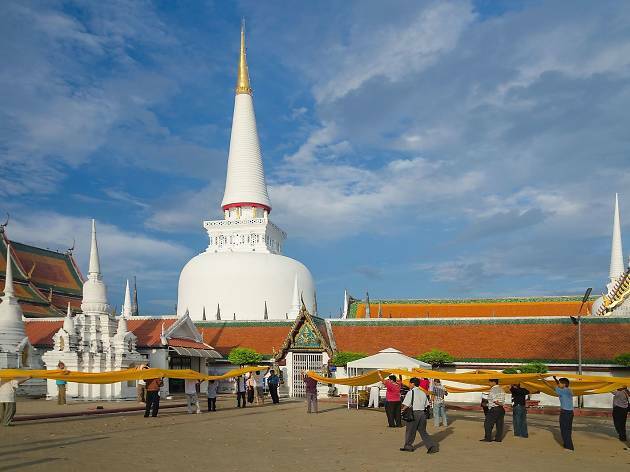 A historic and prosperous port town, as evidenced by troves of antiquities and archeological sites, that is located on the east coast of the Malay Peninsula in southern Thailand’s second largest province. Why go? Nakhon Si Thammarat is often looked over by tourists who flock to nearby Krabi and Phukhet. 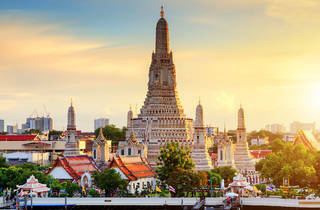 Yet, the diverse city boasts a UNESCO world heritage nominated Buddhist temple, Wat Phra Mahathat Woramahawihan—one of the most important in Thailand; a unique shadow puppet museum; fortifications designed by the French, like the city wall; and great Chinese, Malay and Southern Thai food. 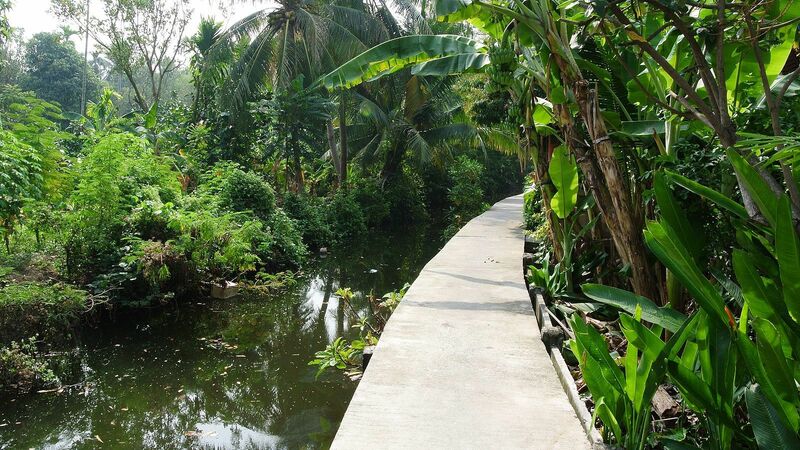 It’s also near Ban Kiriwang, a town that claims to have the “best atmosphere and purest air” in Thailand. Time Out tip: Explore the city’s culinary offerings, from the dark roast coffee and medicinal “pork bone tea” soup at Kopi to the khanom jeen (fish curry; a local specialty) at Kanomcheen Mueang Kon to breakfast at Ko Hui Dim Sum. Southern Thai food is notoriously hot and spicy, so bring TUMS. 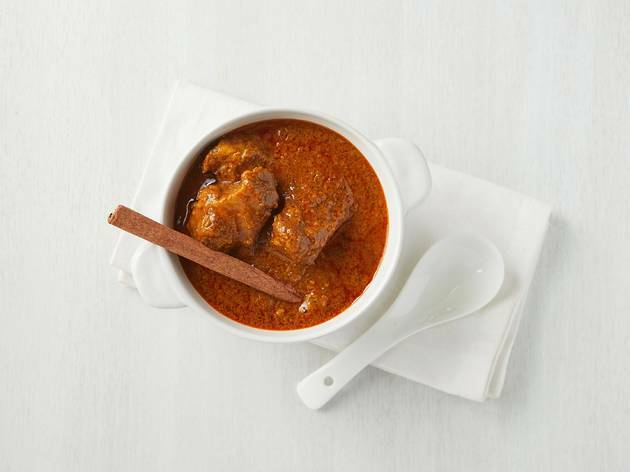 (Or order less spicy dishes, like nam prik, massanman curry, and friend catfish with turmeric). What is it? 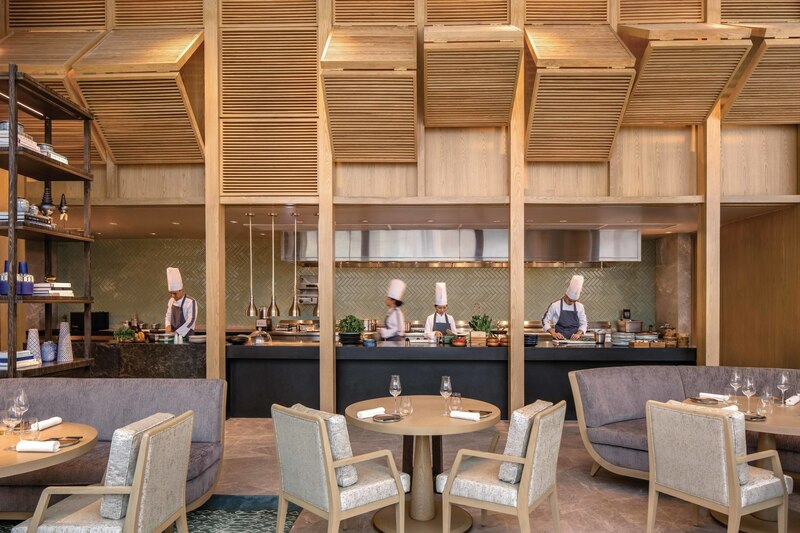 The flagship restaurant of Bangkok's stunning new Waldorf Astoria. Chef Fae (full name Rungthiwa Chummongkhon) is married to a Danish man and trained and worked at European Michelin-star restaurants for years before returning to Thailand to combine the techniques she'd learned with traditional Thai dishes from her childhood. She cures, ferments and pickles with panache while also using local ingredients and subtle flavor pairings to turn out dish after beautifully plated dish of a cuisine that's has no real comparison and is difficult to describe, until you've tasted it. Why go? It's something altogether new: innovative, stylish and incredibly tasty. 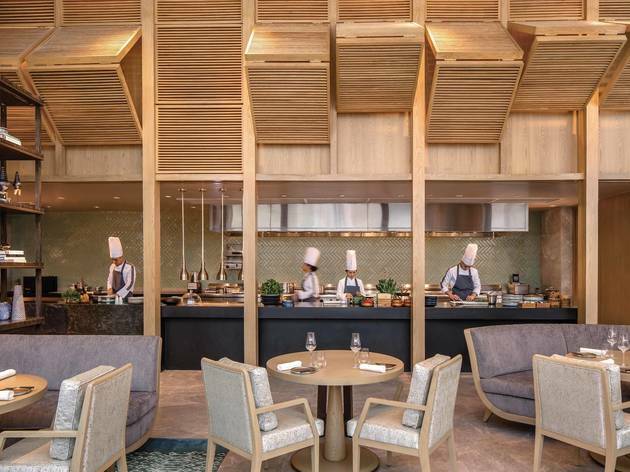 If you can spring for it, the 10-course meal gives the most complete tour of this new fusion cuisine. Time Out tip: When your meal is over, spend some time exploring the rest of the hotel; the view from the pool deck is particularly stunning. What is it? 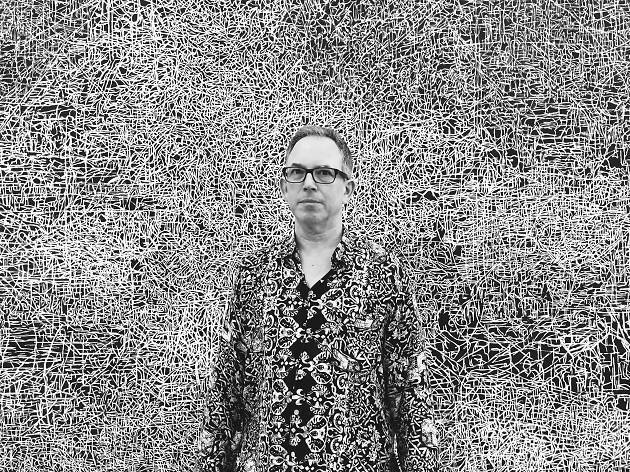 A new-ish contemporary art museum in northern Thailand’s largest city, Chiang Mai, that highlights the works of both renowned and up-and-coming artists of the region and Thailand. Why go? One of Thailand’s most cultural cities, Chiang Mai is home to many contemporary artists; and this museum, which opened in 2016, celebrates this artistic heritage. 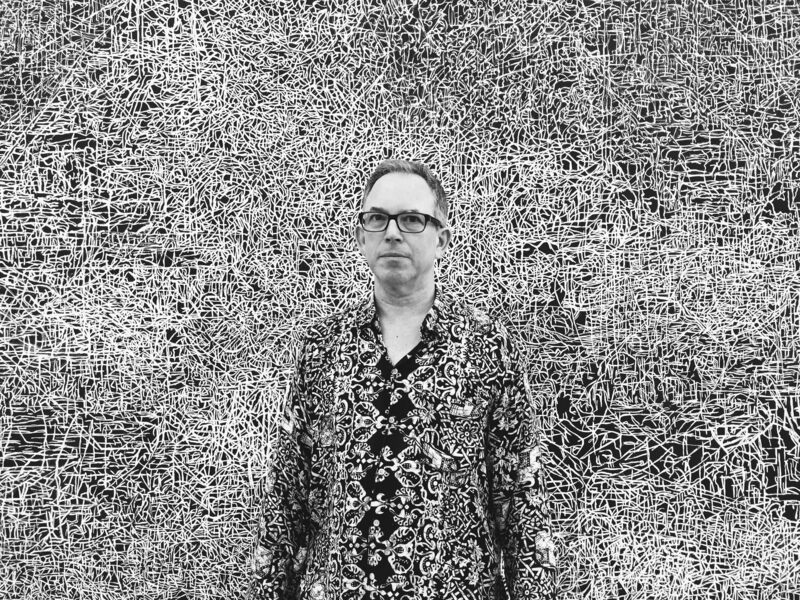 Its permanent collection—an ode to the 1990s—features 50 key pieces by leading local and national artists, in addition to a temporary collection. Time Out tip: Navin Rawanchaikul’s kaleidoscopic and trippy painting, “Super(M)art Bangkok Survivor,” MAIIAM’s main attraction. What is it? 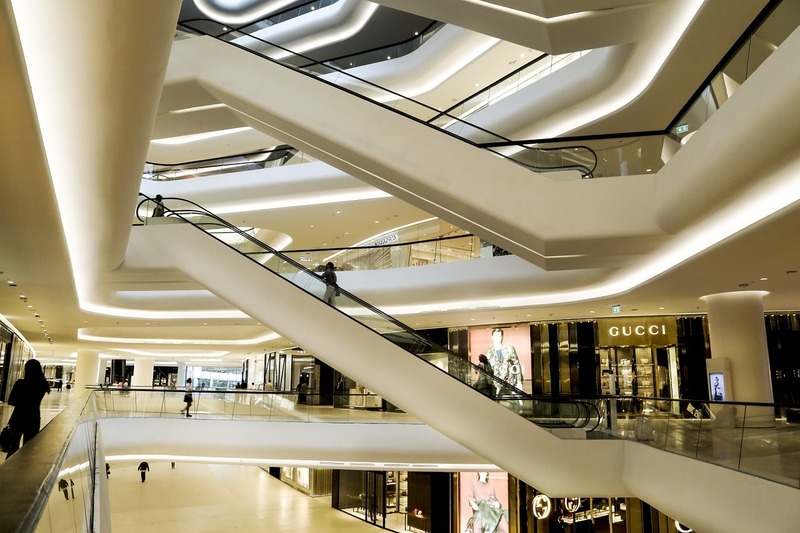 A super chic, ultra-modern shopping complex built on the former gardens of the British Embassy in Bangkok that doubles as a community space and epitomizes hi-so living. Why go? 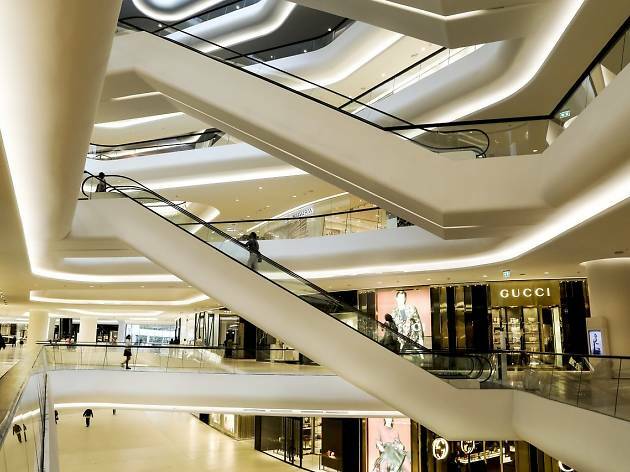 Malls are very popular in Bangkok for a basic reason (hello, A.C.! ), but this one goes above and beyond, providing unparalleled experiences that even mall-haters would love. On the ground level, Eat Thai serves the country’s best regional dishes and “street food” (however, the city’s best food court is at Terminal 21). Atop the 6th floor, there’s the plushest movie theater, and most fabulous community space: Open House, a book-lined oasis with tiny art gallery, fancy food stalls, and a co-thinking café. Time Out tip: The floor-to-ceiling windows in the bathrooms on the 6th floor overlook the British Embassy and Ambassador’s Residence (which was sold in 2018, but has yet to relocate), so bring your binoculars if you’ve ever wanted to be a spy. What is it? 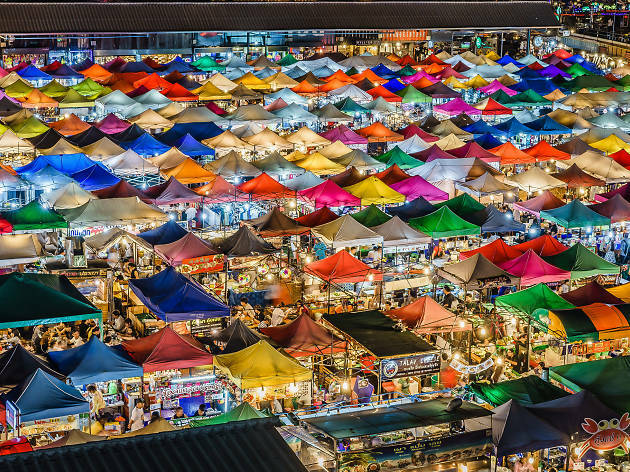 A lively and colorful nocturnal bazaar in the east of Bangkok where thousands of vendors hawk food, fashion and antiques, and Thais congregate for drinks. Why go? 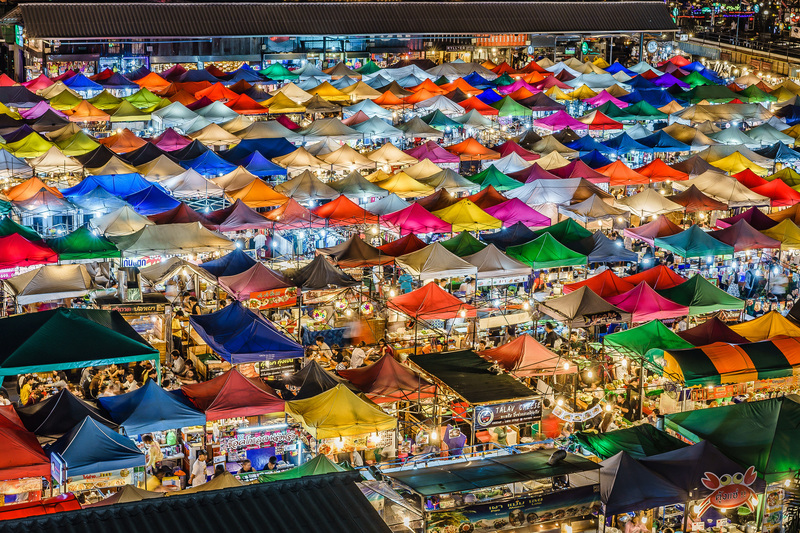 Open Thursday to Sunday evenings until midnight, Night Train Markets (or Talad Rot Fai) are a unique part of Bangkok’s culture. While Srinakarin’s is a little farther away than the other night markets (and best reached by taxi), it’s larger, has more Thais and fewer group tours, comparatively. It’s also a great place to have dinner and drinks, and make new friends. Time Out tip: From classic cars to French chandeliers, the incredible antiques in the Warehouse Zone set this night market apart from the rest. Bring your camera—and enough cash. What is it? The former Bangkok residence and art collection belonging to Jim Thompson, an American businessman known as the “Thai Silk King” who mysteriously vanished in the Malaysian jungle in 1967. Why go? 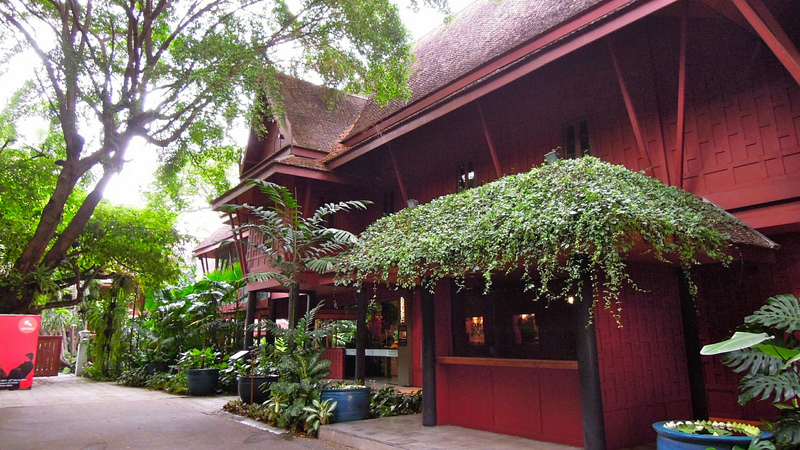 Thompson’s wooden house, which was built in 1959 to showcase his impressive Asian art collection, is a unique amalgamation of Thai and Western styles. 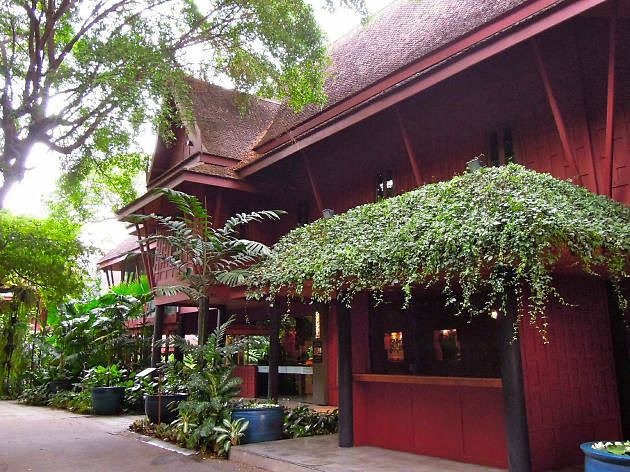 The jungly compound by the klong, which feels like a peaceful refuge despite being in the heart of Bangkok, also has an art center, open-air restaurant, and gift shop that sells an array of uniquely patterned textiles for the home and fashion from Thompson’s own silk company. Time Out tip: It’s worth taking the guided tour to learn juicy details about Thompson’s extraordinary life and fully appreciate his gorgeous home. What is it? A delicious southern-style restaurant that’s tucked away in an alley off Sukhumvit in Bangkok’s Khlong Toei neighborhood. Why go? The restaurant serves “two dishes that pair spectacularly—the gaeng som, a classic sour, soupy, super-spicy fish curry, and the Chinese-style braised pork belly, sweet and lush”—which intrepid travel writer Matt Gross, who went in search of Bangkok’s best street food for The New York Times, said he’d fly back to Bangkok just to eat. 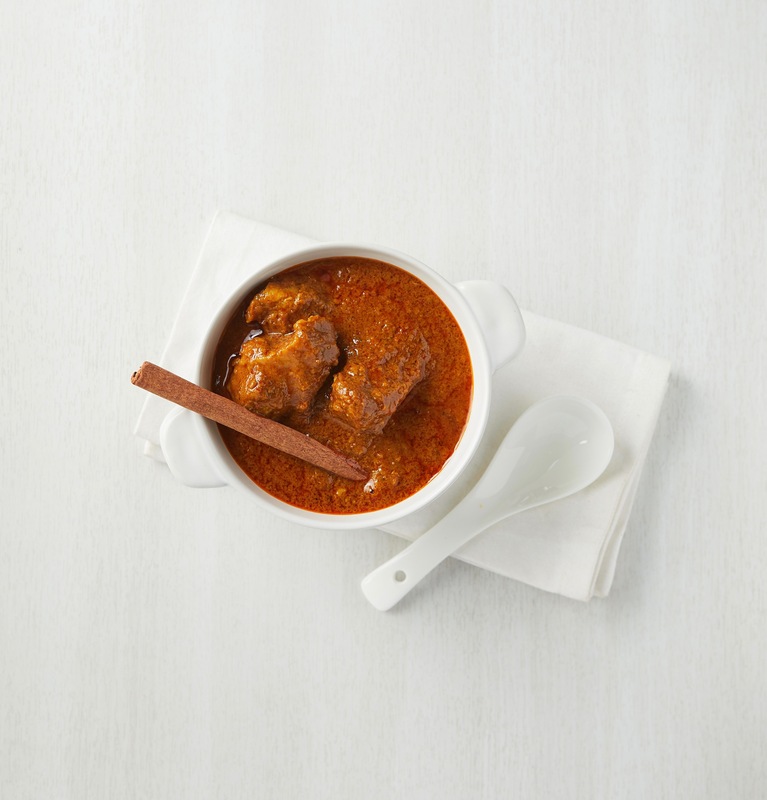 Time Out tip: “You need to eat them together over rice; each tames and amplifies the other,” says Gross. Check out this google map for the rest of the places he ate at in Bangkok. What is it? 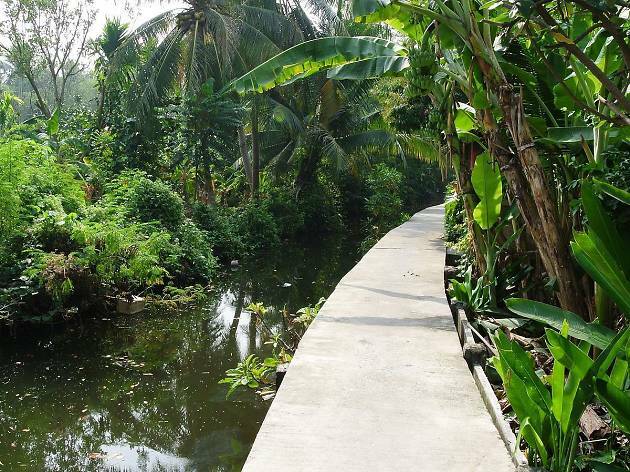 A lush oasis across the Chao Phraya river from Bangkok, aptly dubbed the “green lung”. Why go? The (artificial) island-like peninsula, with its cycling trails, floating market, Walden-inspired tree house hotel, and cafés, is the perfect escape from Bangkok’s urban jungle—particularly after a few days of sightseeing. Time Out tip: The best way to explore is by bike (although the paths are narrow), and during the weekend so that you can visit the low-key, canal-side floating market called Ban Nam Pheung. 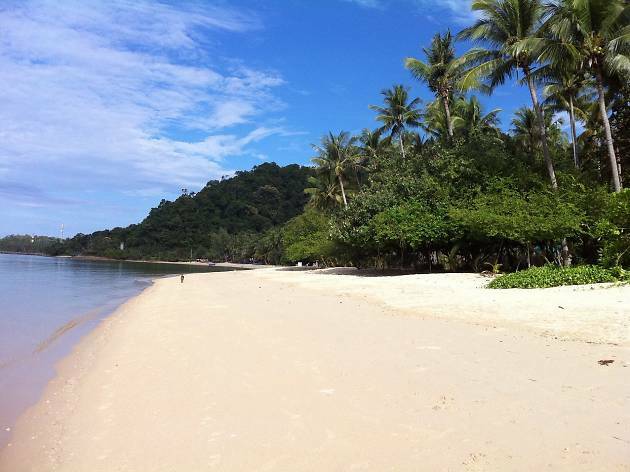 Saying that beach-lovers are spoiled for choice in Thailand is an understatement. Wherever you lay your towel, expect sun-drenched sugary white sands and waters in a thousand shades of blue – and a bottle of cold cheap beer.